South Africa is a vast, beautiful country with good road infrastructures, however, it is also known as one of the most dangerous countries in the world. 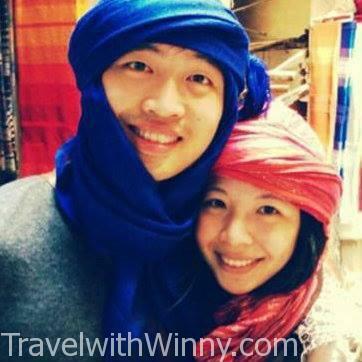 Before travelling to this country, we were paranoid about safety, so we researched thoroughly and prepared for the worse. Luckily nothing unfortunate happened during this trip and we could enjoy the trip and even see lemurs thanks to the tours provided by companies from kensingtontours.com/tours/africa/madagascar/madagascar-lemur-fever. 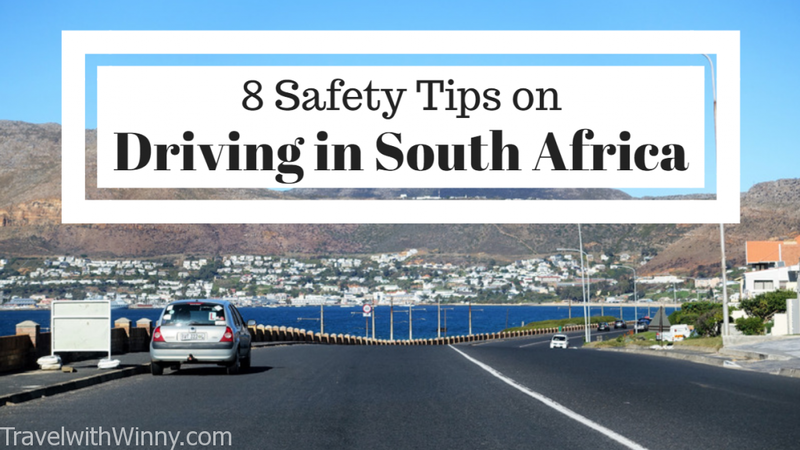 Nevertheless, we formulated some safety tips on driving in South Africa from our experiences and research. Safety Tip 1: Avoid Townships! 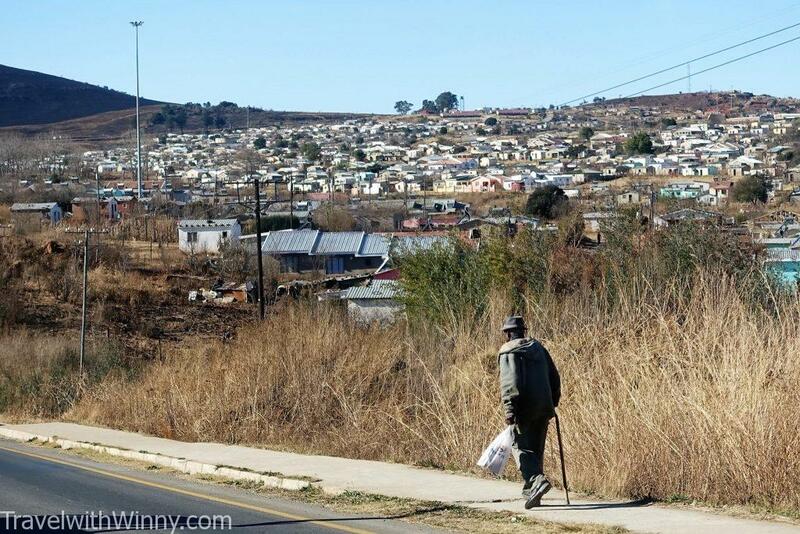 Townships in South Africa is equivalent to favelas in Brazil. according to Wikipedia, they are usually referred to as “underdeveloped segregated urban areas that, from the late 19th century until the end of apartheid, were reserved for non-whites, namely Indians, Africans and Coloureds”. Townships are usually on the outskirt of towns and cities and they are notorious for their safety. You will definitely sense the danger if you drive into one! Townships along the way while we were driving in South Africa. 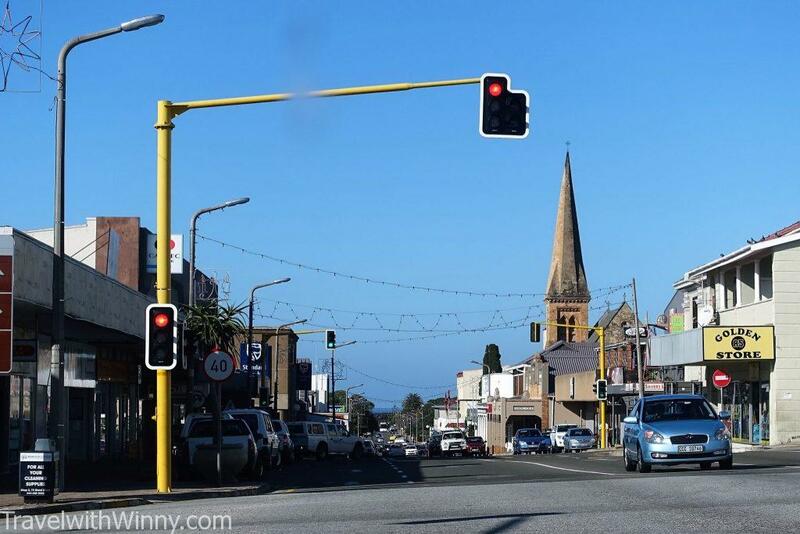 When driving in South Africa, we advise avoiding townships at all cost, especially at night. Tourist cars usually stand out as they are newer and cleaner than the local cars in the townships. This alone can easily make you a target. Due to apartheid which only ended around 20 years ago, some Black South Africans still have strong hatreds towards Whites. 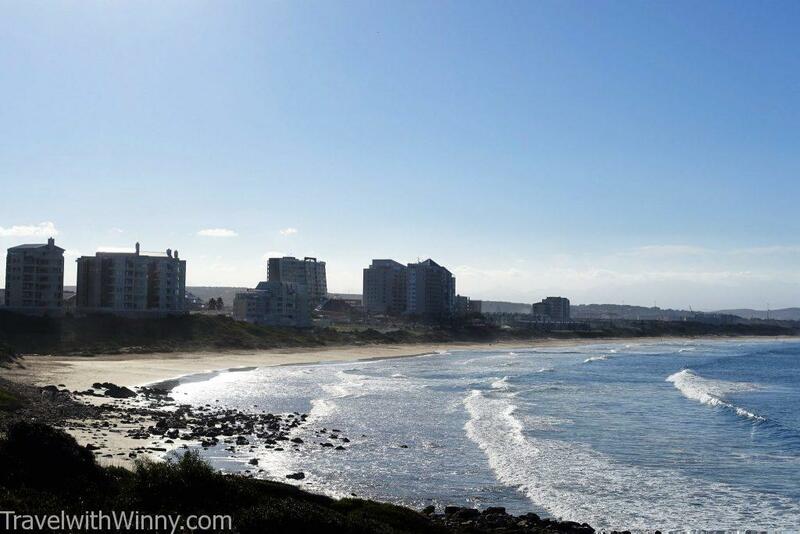 If you do wish to visit a township, we highly recommend to only visit during daytime with a local guide. 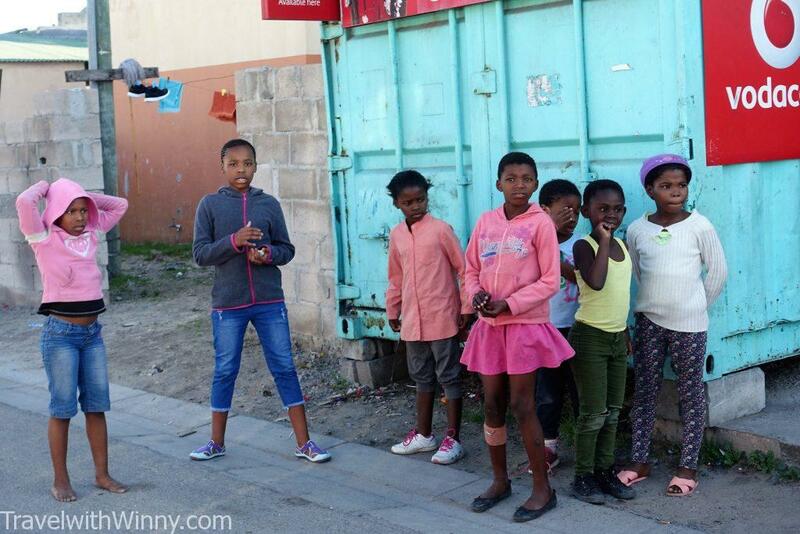 The children in townships are generally friendly towards foreigners that come in a group. Safety Tip 2: Pay the Tolls! Although the infrastructures are well established in South Africa, some of the non-toll roads are not in the best conditions and pass through townships which are not marked on maps. South Africa is the first country we purposely find toll roads to drive on. The toll itself is extremely cheap by western standards and the roads are extremely well built with high-quality rest stops, shops and toilets, it also gets you to places faster too. 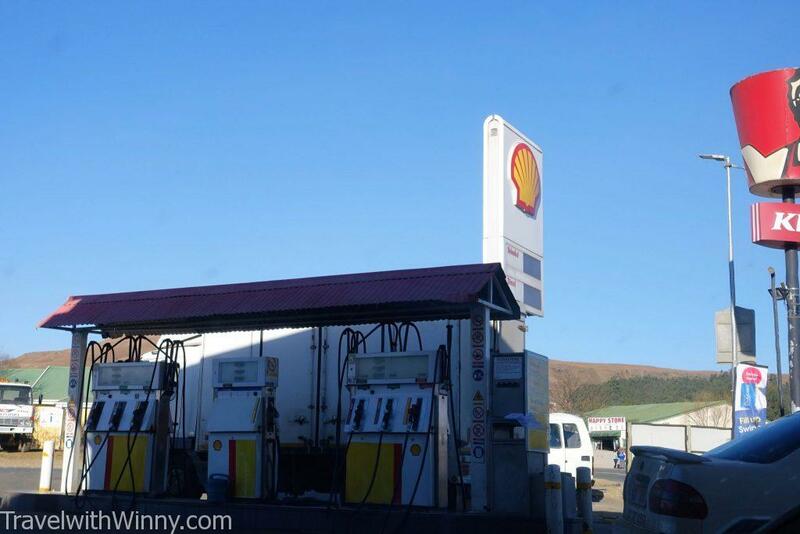 Before heading to the accommodation, I would actually email the owner to see if there are any routes or townships I need to avoid from A to B.
Alzu Petroport is the best pit stop on the N4 highway near Johannesburg! 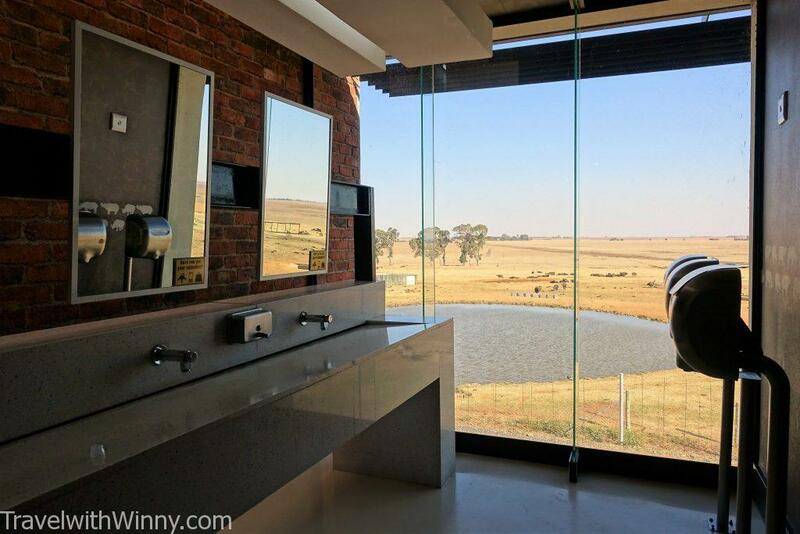 Even Rhinos can be seen from the toilet! Safety Tip 3: Carjacking is common! Rule number 1 to avoid carjacking is to not follow the front car too closely especially at the traffic lights. Always make sure there’s enough gap between you and the front car in case of other cars blocks you from the back and front. The following video demonstrates what can happen in broad daylight in South Africa. Some common places for carjacking to happen are secondary roads in Northern KwaZulu Natal and roads leading into and out of Kruger Park. Also do not get out of your car to clear anything from the road, just drive around it! Safety Tip 4: Don’t stop at the red light at night! Carjacking is so common in South Africa, it is now acceptable to ignore stop signs and red-light at night. Carjacking and violent crimes can commonly happen at intersections where people prey on isolated cars which stop in front of a red light at night. When approaching red lights during the day, slow your car into a rolling speed so you can minimize stopping time at the lights. If this was night time, then it is okay to drive through a red light. When driving, always check the rear mirror to see if someone is following you especially when driving back to the accommodation. My friend got followed once in Johannesburg when he realized this car has been driving directly behind him. He circled around the streets for more than twenty minutes until the person following realized he’s been noticed. Otherwise, they could box you in while you are driving into the driveway like the next video. Always check your rear mirror! Did you know that Johannesburg has some of the most dangerous roads in the road? It is five times more dangerous than roads in New York and 13th most likely place to die on the road in the world! Therefore it is important to know some common rules driving in South Africa. In intersection without street lights, the first vehicle arrives has the priority. When lights turn green, do not accelerate immediately! Make sure the cars to the left and right have come to a stop before you start driving. We have seen some crazy drivers driving through red lights even though our green light has already turned on for more than 2 seconds! Always give way to the right in roundabouts. Always drive in the left lane as the right lane is the overtaking lane. If there’s a vehicle behind you and wants to overtake, drive into the emergency yellow lane to allow the vehicle to pass. 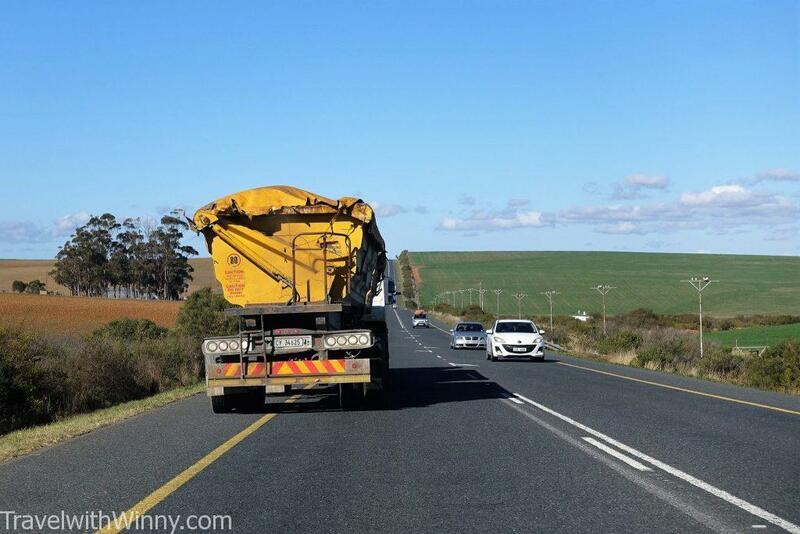 In general, South African drivers are very nice and is willing to give way when needed to. Heavy vehicles will move left onto the yellow emergency lane so you can pass them when there is no oncoming traffic in the other lane. Safety Tip 7: Lock your cars and don’t get out. We made a rookie mistake by stopping along the highway on Garden Route to take some scenic pictures. Because we were quite far away from major cities and we were on a major touristic highway, we thought that we were safe. However soon after we left our car, a police car pulled up next to us and warned us to keep driving as it was a common location for robberies due to a township nearby. We were quite surprised, as that particular location looked and felt safe! We were stopped by the cope while taking a photo of this beautiful scenery along the Garden Route that closely resembles Gold Coast in Australia. Sometimes at traffic lights, there are people who will try to start washing your windscreen for some small change. We advised to ask them to stop immediately if possible or tip them or else they could damage your vehicle. They are happy with 1-5R for their service. Weirdly these people seem to avoid washing our windscreen. We think it’s because we are Asian and they don’t know how to ask money from us. 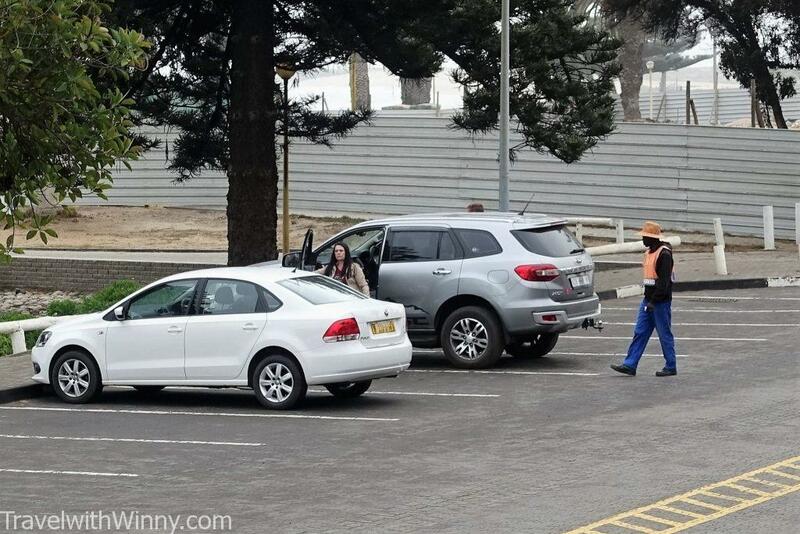 In South Africa, most free car parking spaces will have a “car guard” standing nearby. These unofficial “car guards” usually wear a bright-coloured vest and will come introduce themselves when you park your car. They are there to act as a buffer against car theft or robbery and you just have to pay them 2-5R when you return to your car. It is still cheaper than parking in a secure carpark. These unofficial “car guards” will usually be like “Hey, I kept your car safe” when you return to your car. We would smile, say thanks and drop some small change into their hands before going into our car. Keep in mind, there are seldom official car guards which are usually located at entrances of supermarkets or touristic car parks. They will give you an official docket with a price on it. The man in the orange vest is a Car guard, he is about to tell the lady that he is going to guard her car. Always have a working phone in case of emergency. Highly recommend MTN for the prepaid sim card, as their roaming rate in other African countries are very affordable, as well as good value data bundles for South Africa. Check out their roaming rates here. Before entering a new city, it is best to check the Crime Stats website which tells you how safe each region is and what type of assault usually happens. If you do rent a car, always make sure the accommodation has secure parking. Not exactly about staying safe, but always tip the petrol attendant 2-5R and 10R for checking tyre pressure. We try to stop only at major petrol stations to get our fuel topped up. Usually, it would include an eatery or fast food chain. Overall South Africa is a massive country! There are no better ways to enjoy this stunning country other than self-drive. 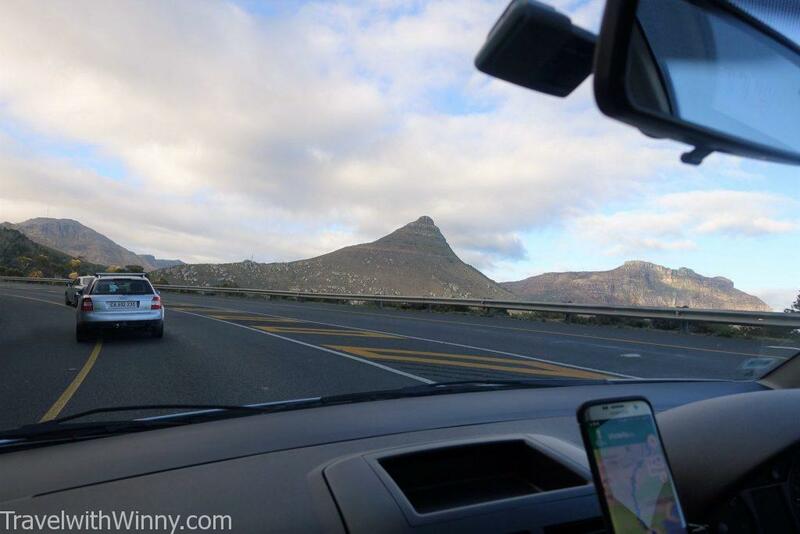 Just remember all the safety tips for driving in South Africa. I am sure you will have an enjoyable time just like we did! Hi Katherine, thanks for your comment. It is true that safety is more important than anything 🙂 Glad my blog helps, all the best & safe travels! This worries me and although pre booked now wonder if we should cancel. Hi, please don’t be disheartened! South Africa is very fun! Just need to know how to stay safe then you will have the best time of your life! South African people are very friendly and helpful. You can‘t avoid driving through townships, they are around the airports. But no one will jump at you there. Why making people nervous and plant the seed of fear?! You have to be conscious everywhere, South Africa is no exception. It’s very sad to read a post like that. Thanks for your comment and glad you enjoyed South Africa. I too really loved the country and would come back again especially having friends living there. However, I do not think this is planting fear, this post is making people aware of the situation and be mindful. The statistics are there and the dangers are real. It is true you have to be conscious everywhere, but for many travelers they may not have the same awareness as you. I have spoken to our guide during township tour and he too suggest to avoid them if possible. It’s all about reducing risks and this what the post is about. I hope you can see the benefit of this post and realize that for many, ignorance can be dangerous and many, do not have common sense.